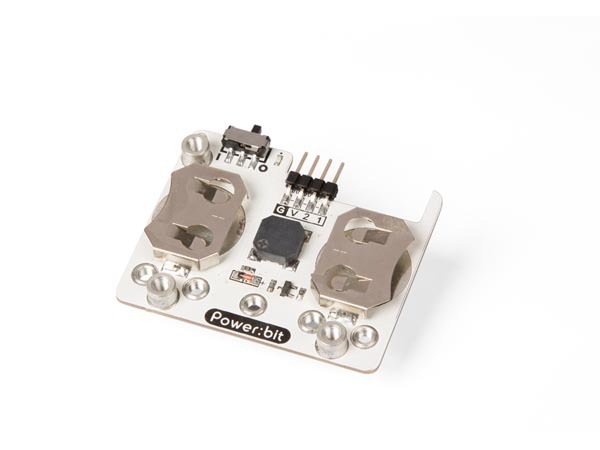 This power module is an extension board for micro:bit®. It is powered by two CR2025 or CR2032 batteries. An additional buzzer can be used as output connection for the micro:bit.